Are you a dentist looking to protect your income against unforseen illness or injury? Believe it or not, your profession does impact your eligibility to receive income protection cover and also affects the type of cover provided. Whether you're working within the private sector or employed through the NHS, it is still important to have a plan in the unlikely event that something prevents you from working for an extended period of time. 1 in 10 people have been unable to work for over 6 months due to accident or illness. The benefit level is usually between 50% – 65% of your income. Due to the high skill nature of Dentistry, it is important that your coverage includes your own occupation. If your policy only covers 'Suited Occupation' or 'Any Occupation' you may not receive a payout for an injury that prevents you from practising Dentistry. 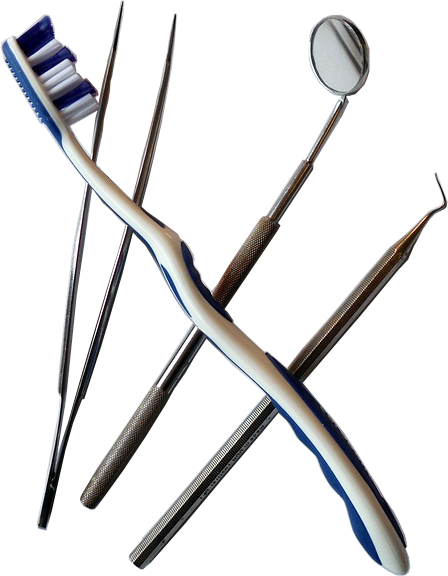 For example, if you were to suffer an injury that affects the use of dentistry instruments (Mirrors, Probes, Forceps etc.) there is a chance that you will not receieve a payout as you are still able to work, even though you are prevented from working your profession. Own Occupation coverage prevents this and is assessed based on your specific job role as opposed to using work as a general term. It might be that you are working for an organisation that provides a sick pay plan which is useful is you're going to be off work a short period of time. However, 1 in 10 people have been unable to work for over 6 months due to accident or illness, generally sick pay will not cover that length of time. Depending on your provider, a period of deferment could be arranged that will be triggered after your sick pay period has ended, this will ensure that you are making full use of options available to you. Every case is different, to know for sure how your occupation may affect future policies get in touch today either by filling in our "chat with an expert form" or by using our online chat feature for instant support. Our expert staff will comprehensively answer any questions you may have regarding income protection insurance for dentists and also for any other occupation.